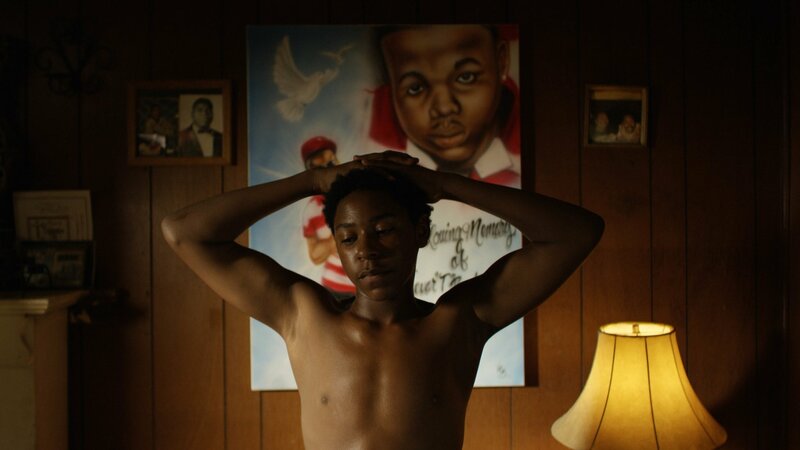 Set in Arkansas, 13-year-old Dayveyon, the title name, keeps looking at the poster of his older brother Trevor who loses his life. Being unable to find a right way to cope with the unfortunate reality, Dayveon seems does not care much of his own future as he quickly falls in with a local gang where he sometimes has to participate in criminal activities. However, almost presenting as his own way of protest to life, Dayveon willingly joins the group and distances himself from his family. Amman Abbasi’s movie begins when we find Dayveon on his way out to to attend the ceremony where after being beaten up, the group of dangerous people takes him to their community. His relationship with big as a giant friend, Brian (Dontrell Bright) also falls apart. Brian, of course, tries to influence the boy to ensure that he will succeed in his life, however, even he can’t control him as Dayveon does not seem to want to listen to anyone. As the story unfolds, Dayveon finds himself more involved with the gang that throws him into the epicenter of robbery, where the boy realizes the actual reality he will have to face. However, despite knowing that it is not good what he’s trying to achieve with his life, Dayveon looks for at least someone who will understand his pain and perhaps embrace him. But when it comes to making a life-changing decision, there is no one but Dayveon who can help himself. But the question is, does he needs that help or not, it’s something you will have to find out. Dayveon is an excellent coming-of-age movie with an easy character development. Nothing seem to be in a rush in Abbasi’s movie as he slowly allows the character he writes to develop slowly, but surely. Devin Blackmo as Dayveon is solid. It’s interesting to watch the young actor throughout the movie, as if he had taken Dayveon’s matters personally. But it is also a movie that’s not made for everyone and that is a good thing. Because at the end of the day, this movie will reach to its audience to show the importance of Davyeon’s life. I just hope, you, my dear reader, will be one of them.